Join us for wine, hors d’oeuvres and camaraderie as we celebrate all of our women and honor Reverend Tracy Blackmon and Rabbi Andrea Goldstein with the Hannah G. Solomon Founder’s Award. Rev. 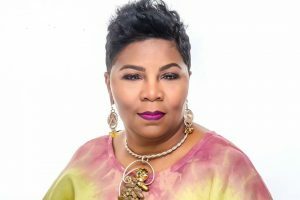 Traci deVon Blackmon is the Executive Minister of Justice & Local Church Ministries for the United Church of Christ and Senior Pastor of Christ the King United Church of Christ in Florissant, MO. Rev. Blackmon’s life work focuses on the communal resistance to systematic injustice. Her response in Ferguson to the killing of Michael Brown gained her many audiences from the White House to the Carter Center to the Vatican. Appointed to the Ferguson Commission by Governor Jay Nixon and to the President’s Advisory Council on Faith-Based Neighborhood Partnerships for the White House by President Barack Obama, she is the recipient of the NAACP Rosa Parks Award, The Urban League of St. Louis Women in Leadership Award and the National Planned Parenthood Faith Leader Award, to name a few of her honors. Rabbi Andrea Goldstein has been a rabbi at Congregation Shaare Emeth, the largest reform synagogue in St. Louis, for the past 20 years. Her rabbinate is centered around the call for social justice and the cultivation of spiritual practices. 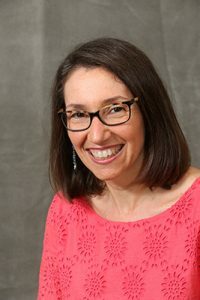 She currently serves on the Union of Reform Judaism’s Commission on Social Action and the Central Conference of American Rabbis’ Justice Team. She is a board member of Nishmah and Metropolitan Congregations United and serves on the NCJW Advisory Council. Rabbi Goldstein is a graduate of the Institute for Jewish Spirituality’s Rabbinic Leadership Program and the Jewish Mindfulness Meditation Teachers’ Training Program and is the founder and director of the Jewish Mindfulness Center of St. Louis.